Cross Stitch used to be a hobby of mine so it was lovely to pick up a needle and Embroidery Floss again and make these tags!! I have to say, I love them and will definitely be making more of these! I used the partial die cut technique, ie, hang the lower edge of the die over the edges of the cutting plates and then moved it down a bit to elongate the tags. I am going to make up 'Pamper Hampers' with lotions and potions and used these to decorate the baskets for my family and friends, I am so excited!!! I am sure they will love them!! So now it's YOUR turn to get out your crafty supplies and join in!! Oh my goodness! 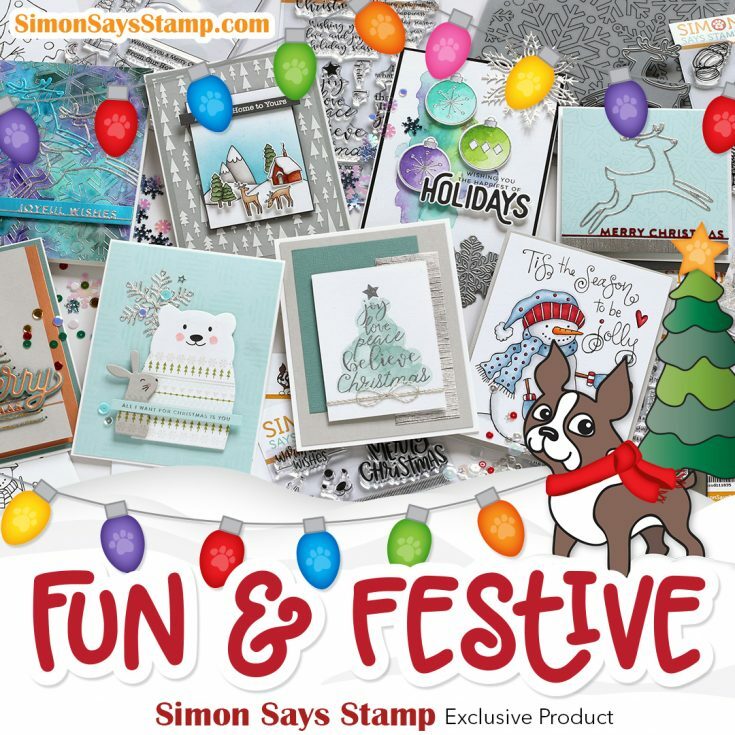 Simon Says Stamp is here with a fabulous 'Fun and Festive' release!! I was sent a few samples to play with and I just LOVE this super cute Big Picture Book Jack Russel Die Set !